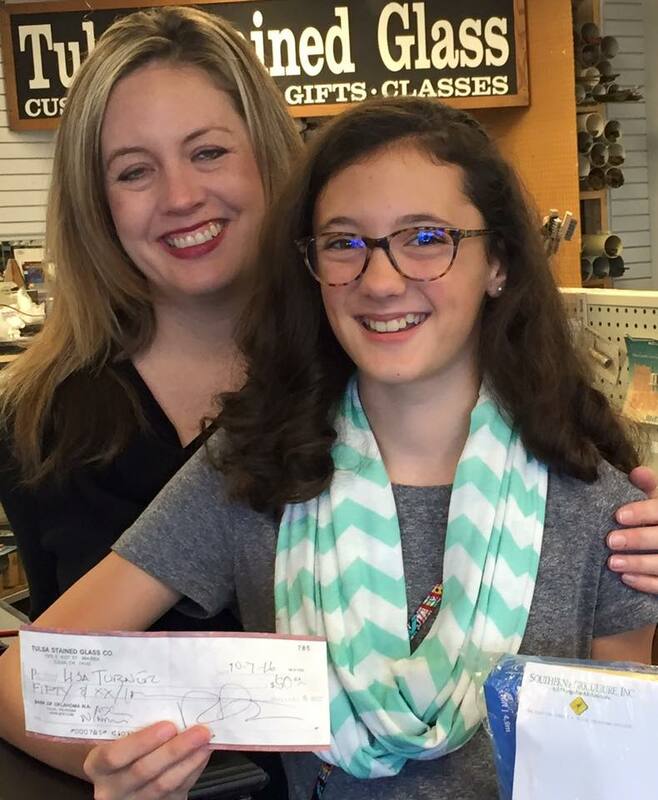 Meghan Turner of Tulsa, OK, (shown with her mom, Linda) won our 2016 Dog Days of Summer Promo Contest. Her Prize Winning entry, Labrador Love, shows how special her dog is. The prize for this promotion was based on popular votes, and included cash as well as gifts for her dog. A few weeks ago I learned of a contest being held by the Art Smart Challenge. I had entered once before and thought I’d try it again. The theme we were to follow was Valentine’s Day. I thought of hearts and flowers, angels and cupids, but something else kept shoving those ideas aside. All I could see was a simple box of Cracker Jacks. That’s right, the red, white and blue box with the little sailor boy standing at one side. Years ago I began seeing a gentleman. We met on a blind date arranged by a mutual friend. Over time we became close friends and finally sweethearts. Then that special Valentine’s Day came. After dinner we sat down for a quiet evening of TV and he brought out two boxes of Cracker Jacks and handed me one. We sat there enjoying the sweet little crunchies. Soon he asked what prize I had found at the bottom of the box. I told him I was still eating mine. “Hurry up,” he said. I wondered what the big hurry was, but I soon found out. At the bottom, wrapped in plastic wrap, was a fantastic diamond ring! I was stunned. He had carefully opened the box and slipped the ring in. It was the loveliest thing I had ever been given. 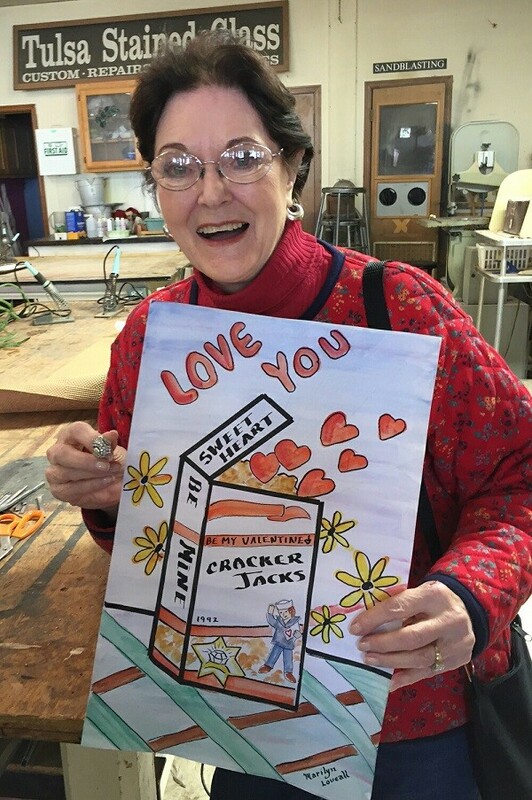 So when the contest called for a design representing Valentine’s Day, I had no better idea than that box with the ring and the love it represented. And yes, I won with my design. Thank you, Art Smart Challenge. It’s been a great experience!